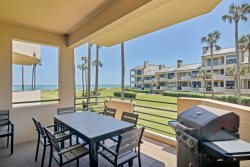 Suncastle Properties welcomes you to choose your ideal vacation home from along the oceanfront, our many golf courses or with a view of the marshes along the intracoastal waterway of Florida’s Historic Coast. For generations, families have embraced Ponte Vedra Beach, Sawgrass and St. Augustine communities as a place to recharge, reconnect and kindle fond memories for a lifetime. Browse through our inventory of privately owned vacation home rentals for both short and long-term stays. We are confident you will find the perfect property for creating fond memories on your next visit.